On November 7th 2012 from 7:30 a.m. to 9:30 a.m. Greater Spokane Incorporated will host their 15th Annual Economic Forecast. This year's event will take place in the Spokane Convention Center Ballroom and is presented as a partnership with Journal of Business. As well as many other sponsors. The event will feature to renown speakers, Dr. John W. Mitchell , Principal at M&H Economic Consultants and Dr. Grant Forsyth, Chief Economist for Avista. The cost to attend will increase to 50 dollars however after November 2nd and the public is welcome to follow along using Twitter hash tag #econforecast. Dirty Dog Laundry is making Spokane's college life a little better. A new business that opened only a couple of months ago here in Spokane is making life a little easier for the students at Gonzaga University. That new business is called Dirty Dog Laundry and it is being ran by 2 students, Peter Blei and Dolan Patterson . In a nutshell Dirty Dog Laundry comes to you to get your laundry then does it for you,for a price which is charged in ether a annual,monthly, weekly or month to month payment plan .Customers are even given special bags for the laundry,which is transported to a local laundromat which Dirty Dog has an agreement with. The service is a very creative idea that has been designed for students who don't want to take the extra time to do laundry. As of right now Dirty Dog Laundry is only available to students at Gonzaga University but is garnering interest in the community. Inland Northwest Business Watch is ran only by one person and normally I rarely hear from my readers ( I don't bite,really) . But let's change that and you tell me what you think of this site... We collect NO personal info and the survey is only 8 questions so it's super fast. Please take our survey,every response helps! The Milkman has returned to Spokane! There is one newer business here in Spokane that is bringing back a bit of something older. That is the milkman and the new business is Spokane Milk Home Delivery which opened only a few months ago and has been growing and adding new customers ever since. Spokane Milk Home Delivery supplies their customers by buying their Milk directly from the factory and uses a higher quality of milk from Smith Brothers Farms. Along with Milk, they also offer many other items for delivery those include... Milk bi-products such as Cheese, Eggs, Bread and Orange Juice. E. Sprague Ave. Wal-Mart now open! The Spokane area newest Wal-Mart Store is now officially open, with an official opening happen back on the 17th and a grand opening celebration the weekend directly after. The new Wal-Mart is located in the 5500 block of E. Sprague Ave in Spokane Valley is nearby other large retailers like Lowe's, Costco and Home Depot. The new Sprague Ave. This new Wal-Mart has created about 350 new local jobs and Wal-Mart as a whole created about 900 new jobs in Washington State with 2 other stores opening on the same day elsewhere in the state. The new local Wal-Mart store covers around 147,000 square feet of space and offers a oversized parking lot area directly to the west of the new store. A commercial pad site also remains for sale on the property near the main vehicle entrance. The new Spokane Valley Wal-Mart is similar to most other Wal-Mart's in the Spokane and Coeur d' Alene area as it offers both general merchandise and a grocery area, with some 30 different departments. Also included is a walmart.com services area , cell phone sales , photo lab and with the changes in Washington's liquor laws earlier this year the new store also features a small liquor store space in front of the registers with a separate cashier station for shopping ease and security.And, yes this Wal-Mart also already has their Christmas Decoration department set up. Also similar to other Wal-Mart's the new store on Sprague has a selection of leased out shop spaces in the front of the store in between entry doors. This new Wal-Mart features a new Subway, Smart Style Hair Salon and a Da Vi Nail Salon. Below is a look at the free store maps handed out during the grand opening celebrations,I apologize if the department names,etc... are a little hard to read. P.S. Inland Northwest Business Watch endorses primarily a buy local approach to shopping however we cover all business news stories that affect the communities we serve. The North Carolina based home improvement superstore Lowe's is expected to open their newest store in the Spokane area by the end of this month. The new Lowe's is a replacement to an older store that had been located nearby. The new Lowe's is on a site that had been a K-Mart and small strip mall prior. Those stores ether closed (in the case of K-Mart) or moved and the building demolished to make way for the completely new building. Keep watching Inland Northwest Business Watch for more including opening dates and possibly even photos,if scheduling permits. A popular wine and craft beer retailer in Post Falls is planning a grand opening this weekend (Oct 25th , 26th and 27th 2012) for it's newly expanded shop and bar. Enoteca which is now called Enoteca Drinkery & Refuge has doubled in size by taking over the former real estate offices directly to the east of them in their Post Falls strip mall. The store is located in the same plaza as Domino's and nearby the Post Falls Liquor Store at 112 E. Seltice Way. The old Enoteca store featured a selection of wines and beers, many of which hard to find . But with the new expansion that selection is also bigger. But the biggest change by far is the new "Drinkery" which is basically a non smoking bar complete with beer & wine and now even fine scotch and cocktails. For the Grand Opening this weekend Enoteca is planning some special tastings, special promotions and even a Halloween party on the 27th of Oct.
Plans have obviously fallen thru for the Xotic Auto and Marine dealership planned for the once vacant building across from Huntwood on Country Vista Dr. in Liberty Lake. Specialty Auto and Tire is moving to a new location still in Spokane Valley at 10415 E. Sprague Ave. Select Comfort will move out of Spokane Valley Mall soon. But the mattress retailer made famous by it's Sleep Number Bed brand won't go far. The store will re-open in a new strip mall being built next to the Evergreen Crossing Shopping Center at the corner of Evergreen Rd. and Indiana Ave. in Spokane Valley. Safeguard Northwest is also moving in Spokane. Their new offices will be at 122 E. Montgomery Ave.
Loftus Family Dental is expanding by opening a new dental office in Post Falls. The Coeur d' Alene based sedadtion dentistry office will open soon next to Little Cesars Pizza on Seltice Way near Greensferry Rd. Rodda Paint is moving to a new store in a more noticeable location. The paint store will take over the former University Appliance location in Coeur d' Alene just 2 doors north of the Government Way/ Canfield Ave. intersection. Seltice RV and Auto which had been in the 2000 block of W. Seltice in Post Falls is closing due the owner's retirement. The big box office supplies and copy business Staples is planning a major remodel of it's Coeur d' Alene location. The Coeur d' Alene Staples is located off of Ironwood Dr near Government Way in the Ironwood Square Shopping Center. The store will remain open during the construction and will come out with a new look and noticeably smaller size. The chain vacate about 1/3 of the space they currently occupy leaving new Staples at about 15,500 square feet, down from the 24,000 square feet they occupy currently . In all Staples plans to invest about 600,000 into this project. The move is because of a plan by the Glendale,Az. based chain to make all of their older stores to look like their newer ones. The smaller store format is also a reaction to the increase in people shopping online over the brick and mortar stores. Note: Inland Northwest Business Watch does NOT condone or endorse the use of pirate radio as it is against the law . The purpose of the post is only to inform. 99.5 fm.... 99.5 is a nameless Coeur d' Alene pirate that airs mostly rock with mixes of some other similar formats. There are no dj's and the station is the stronger of the 2 local pirate radio station with 99.5 being able to be heard in Hayden and most of Post Falls. 100.5 fm... The broadcaster behind 100.5 is obviously using his small radio station to share their beliefs on several conspiracy issues, including the collapse of banks and government corruption. The station is a talk radio station and can be hear most clearly in Downtown Coeur d' Alene but also some signal thru-out the rest of the city limits. Oddly enough though 100.5's broadcaster does have a name which I was able to locate on Google,however since I do not have permission I won't re-post. While the pirate radio stations in Coeur d' Alene are not official businesses they are an interesting sector of the community and maybe one day one will spur into a new business. 1010 W. Boone is an historic apartment building located near Monroe St. and the Spokane REI store. The building has been a haven for drugs and criminal activity for the last few years. But things are about to change for the building at 1010 as the building has new owners, the new owners Joe and Misty Crosby . The Crosby's also own the Motel Lasalle apartment building around the corner on Monroe and plan to do the same to the 1010 building as they did the LaSalle. The plans call for complete cleaning and extensive renovation both inside and out. The Tradewinds Motor Inn will also soon close it's doors. The Tradewinds which is a Spokane landmark has been on the corner of 3rd Ave and Lincoln St. since opening in the 1960's. The motel once welcomed wary travelers to Spokane but in recent years has mostly been a place to stay month to month for Spokane's low income and near homeless residents. The motel's owners chose not to renew the lease and have even placed everything inside the motel up for sale. Museum of North Idaho to offer Free Day. Take a walking tour of Old Fort Sherman or Historic Downtown Coeur d’Alene with General William Carlin, the Commander at Fort Sherman or Captain Peter Sorensen, boat builder, and community leader as portrayed by Robert Singletary. Departing from the Museum of North Idaho the Fort Sherman tour starts at 11 a.m. The downtown tour leaves at 1 p.m. The Museum is having a free day, Saturday October 27 and offering the hour and a half tours on a donation basis. The normal tour price is $15 per person. The Museum is located in front of Coeur d'Alene City Park at 115 NW Blvd. Museum hours are Tuesday through Saturday 11-5. Parking is free for Museum visitors. The Museum closes for the season October 31 and will reopen April 1. This is the last opportunity to see the featured exhibit, Collecting, A Closer Look. The exhibit examines how the Museum of North Idaho uses its collections to tell stories and preserve history for future generations. Several collectors have loaned samplings from their private collections. As part of the exhibit the public can use a computer to search the Museum’s collections. The Museum is “cleaning house” and offering bargain prices on hundreds of reproduction historic photos used in past exhibits. Subjects include trains, steamboats, area towns, recreation, airplanes, mining, logging, Fort Sherman and many other scenes from the Coeur d'Alene Region. The Museum Store is stocked with regional history books and gifts such as t-shirts, jewelry and huckleberry products. The Museum of North Idaho has published over 20 regional books including its new releases Spokane International: Idaho’s Main Line to Canada by Clive Carter and Angus McDonald of the Great Divide: The Uncommon Life of a Fur Trader, 1816 – 1889 by Steve A. Anderson. Other exhibits at the Museum include The Mullan Road celebrating the 150th anniversary of Idaho’s first constructed road. The Scandinavians Settled Here exhibit looks at the Nordic influences in the Coeur d'Alene region. It Started with a Fort tells the story of Coeur d'Alene’s Fort Sherman. The exhibit Schitsu’umsh, The People Who Were Discovered Here features beadwork, artifacts, tools, maps, stories and life lessons giving a glimpse into the life of the Coeur d'Alenes Indians. The original signal bells and steering wheel from the steamboat “Flyer” are on exhibit along with photos and models of several of the steamboats that cruised Lake Coeur d'Alene. A replica of a 1932 Forest Service lookout and When the Mountains Roared explores the role of forest fire including the great 1910 Fire. Watch the 20-minute movie Portraits of Coeur d’Alene and discover the people and history that make our area what it is today. The Museum of North Idaho serves as the regional repository for historical materials relating to the history of the Coeur d'Alene Region which includes Kootenai, Benewah and parts of Shoshone counties. The Museum exhibit hall reopens April 1 but the Museum office and research library are available by appointment year-round. For more information call 208 664-3448, email dd@museumni.org or visit www.museumni.org. The private college, University of Phoenix , has announced they plan to close their Spokane Valley offices. The school which is owned by a parent company called The Apollo Group will close on Oct 31st and will leave many without jobs. The University of Phoenix's Spokane Valley campus had been located at 8775 E. Mission Ave just a couple of blocks to the west of the Argonne / Mullan Rd. couplet. The move to close the school does not however affect the students as the classes are only offered online and those classes will continue as will the availability of the school's advisers. Inland Northwest Business Watch has learned that the new Total Wine & More store in Spokane will open to the public on Nov. 2nd . The store is part of a Wine,Beer and Spirits chain retailer that is based in Maryland. The new Spokane store is located in the former Borders Bookstore location at 9980 N. Newport Hwy near the Y on the north side of Spokane. The new Sports Authority store will occupy all 44,000 square feet of the soon to be southeast anchor spot which is currently being held by Timberline Trading Co. . Timberline however is moving to a small store space but still within the mall. Sports Authority is a national chain retailer selling a full line of sporting goods, the company already operates a store in Spokane Valley on Indiana Ave. near the Barnes & Noble. No word as of yet on a opening time frame or job info. Travel Channel to film at Silverwood. It's only a couple of weeks since the last big national exposure for Coeur d' Alene's Silverwood Theme Park . And now there at it again with the announcement that The Travel Channel will be filming at Silverwood's popular Scarywood haunted attractions soon for an upcoming special,to air in 2013. Scarywood has been chosen as one of the top 24 in the nation! Their focus will be Timber Terror running backwards, The Zombiewood Express Train Ride, as well as, the numerous other attractions and scare zones at Scarywood. Their producers have asked us to identify a number of guests who would be willing to interview with them and talk about Scarywood on camera. If you’re at Scarywood Wednesday, Oct. 24, and you see the camera crew, don’t hesitate to ask the Scarywood staff person if you can interview. Cheney Care Assisted Living is expanding their senior citizen housing options by building a new duplex style community to be called Blackstone Estates. The new duplex's will be located to the north of Cheney Care at 2219 N 6th St in Cheney. Tree of Knowledge Bookstore which had been at 409 1st Ave in Cheney has now closed. Aero-Fliete, a Arizona based wildfire suppresion aircraft service with contracts with the US Forest Service has set up a new base at Spokane International Airport. Scafco will be the first tenant to move into the newly founded Playfair Industrial Park. Scafco plans to build a new manufacturing facility on the site which is at 2802 E. Main Ave. in Spokane. The site and industrial park are on the former Playfair Horse Track. Two Wheel Transit bike shop is moving in November. Their new store location will be 817 S. Perry St in Spokane's South Perry District. The West Wing Resturant at 43rd and Regal on Spokane's South Hill has closed. The West Wing had been a branch of the popular White House Grill in Post Falls. The White House and The Oval Office martini bar,also in Post Falls will remain open. Local pizza resturant chain, Pizza Pipeline is adding a new location but this new store won't be like the rest as this will be the first Bar at Pizza Pipeline . The new bar / pizza restaurant is now open not far from Gonzaga at 1403 N Division. Roses Plus has expanded their flower shop which is located at the corner of 4th and Harrison in Midtown Coeur d' Alene. The shop now also takes up the former computer store's space next door. Born Again Classics is a new classic auto dealership located in Midtown Coeur d' Alene on 4th just north of I-90. Superstars Therapy For Kids has opened a new office just a few blocks east of Downtown Coeur d' Alene on the south side of Sherman Ave.
Donna's Salon opened recently in Spirit Lake at 6276 Maine St. The former Legacy Place assisted living community along Mullan Ave. about 1 block east of Idaho St. has become part of the Guardian Angel Homes community and been renamed The Inn at Guardian Angel Homes. Crafty Cravings has moved out of the strip mall and moved into vendor space at the Treasure Towne Vendor Mall at 5th Ave and Pleasnt View Rd. still in Post Falls. also the plaza still has another major vacancy with the former Curves fitness center still empty.But it's not all bad news as the plaza still boasts so attention getting tenants such as Upscale Mail . The Spokane Indians baseball team's home field , Avista Stadium , which is located directly to the west of the Spokane County Fair and Expo Center in Spokane Valley will undergo some renovations this season and if all goes according to plan, the newly renovated areas will be open in time for the 2013 Indians baseball season. - A new concessions building , the new building will replace the older concessions building which as the Spokane Indians website says "has reached the end of it's useful life" . Also, the work will create a new and improved main concourse area just outside of the stadium. Timberline Trading Company - An outdoor gear,clothing and gift store which had been in the southeast mall anchor spot facing Government Way and Hanley. But the store is downsizing into the space that was last the Americantiques Antique Mall. The new Timberline space is directly next door however is smaller,taking up 2 storefronts. Wiggett's Too Antiques - Americantiques left earlyer this year to move to a more prime space in Downtown Coeur d' Alene,leaving Silver Lake without an antiques store,something most malls don't have but was a nice addition. But the antiques void is being filled by popular a Downtown store , Wiggett's Antiques. Wiggett's Too will open very soon at Silver Lake in the space that was last Hallmark. Bulldog Pipe & Cigar- Bulldog has moved closer to center court in the space that was last Relic Moon Body Peircing, Relic Moon is also still a mall tenant just farther down towards Sears. Huckleberry Thicket- Huckleberry Thicket has also moved. They are now in the mall's center court in the space where Skin Deep Cosmetics was last. Devine Images Northwest- Devine Images has had a advertizing kiosk in the mall's center court for sometime but is now investing in the mall by opening a new photography studio across from Claire's in the Sears Wing. Radio Shack- Sadly the Silver Lake Mall Radioshack location has closed. A sign posted on the storefront grill reminds shoppers that the other Coeur d' Alene Radio Shack location on Best Ave near Hastings is still open. Sprague Ave. Wal-Mart grand opening coming. I have learned that the opening date for the new Spokane Valley Wal-Mart will be Wed. Oct. 17th . The store will open with a ribbon cutting as well as select speeches at 7:30 am that day.The new Wal-Mart store is located directly to the west of Costco in 5500 block of E. Sprague Ave near the Fairgrounds. After being open only a couple of months the French inspired Crepe restaurant Beignets which was at 121 Wall St is closing. The owners of the restaurant say they had issues with security and younger people loitering in the area of their business that would discourage customers. The Viking is back open! The Viking Tavern at 1221 N Stevens St north of Downtown Spokane and nearby Spokane Arena has re-opened. The bar is under new ownership and is now called Viking Bar and Grill . Ej's Garden Bistro is now open! Ej's Garden Bistro is a new resturant that has opened in a historic former home at 1928 W. Pacific across from The Elk in Browne's Addition. The restaurant is American and features beer and wine as well as outdoor dining on the building's front porch. The Phat Truck is open and out and about! is gathering a following a some new locations to be open in and around Spokane. Many other resturants have opened recently in the area,watch for those on future resturant news updates and the New Business Updates. A new non profit has hit come to the Spokane area, and it is very worthly of your time and money. The new group is called The Clayton Schneider Foundation and is named after a 15 year old Medical Lake boy who is confindently battleing lymphoma . The Foundation is planning a fundrasing walk in Medical Lake next year, as well as selling a snack mix and t-shirts to help raise awarness for the many kids who have to battle cancer everyday. The very popular sporting goods and outdoors retailer Cabela's has anounced plans to a build a new outpost store in Kalispell ,Montana . The new Kalispell Cabela's store will be located along US 93 on the north side of the city near many other bix box businesses, in all the new store will cover about 42,000 square feet of space and employ about 75. Construction of the new store is expected to begin in the Spring of 2013 and the store should be open by the fall of that year. Cabela's also operates 2 other stores in the nearby, one in Post Falls and the other in Billings,Mt. Note: Elsewhere in the Northwest is a new Inland Northwest Business Watch feature looking at new businesses and business happening in other Northwest cities. Watch for more posts just like this one in the near future. The Coeur d' Alene Target store which is located in the Silver Lake Plaza at the intersection of US 95 and Canfield Ave. on the North side of Coeur d' Alene is wrapping up a major remodeling project. The new and improved store has remained open during construction process but will open the new departments on Oct 14th . The store now sell groceries ,including frozen and fresh foods to directly compete with stores like Wal-Mart. In addition to the new grocery store area many of the general merchandise departments have moved and / or expanded. The clothing department even has a newly renovated and upgraded fitting room area. Some things however have not changed, The Target Cafe snack bar and in store Starbucks Coffee will remain open in the same location as before. A big change happened recently at the KXLY owned sister tv station , KXMN . KXMN which had been the Spokane affilate for the MyNetworkTv TV network and also had aired some other syndicated programming has re branded. KXMN is now known as Me TV Spokane & Coeur d' Alene . Me TV is a newer tv network using the name Me, The Me stands for Memorable Entertainment Television. The new channel will air entirely older shows from MASH to hard to find shows like Emergency! and many more. KXMN is seen on many local cable systems in the Spokane and Coeur d' Alene area as well as over the air on channel 4.2 , the subchannel for KXLY. We have confirmed that Portland based bix bog retailer Fred Meyer plans to close it's older store located at 525 E. Francis Ave. just west of Nevada St. in North Spokane. The Fred Meyer closure affects only the one store and employees of the store will be offered positions at other Fred Meyer's in the Spokane area. The closure comes on as the store was unable to come to terms on a new lease. The store will close on Jan. 31 2013. Inland Northwest Business Watch's research team can confirm yet another rumor! This rumor is of a new Joann Fabrics store opening soon in Coeur d' Alene. Details will take a bit longer to iron out but we do know Joann Fabrics will take a large space in the north end of Silver Lake Mall off of Government Way in North Coeur d' Alene. The new store will take the spaces from the vacant former Maurice's clothing store space north to the Huckleberry Thicket gift shop/bakery space. We are still working on getting a opening date or a construction date for this new store. We're also still working on figuring out what will happen to the exsisting Coeur d' Alene Joann Fabric's store which is still open by Safeway on N 4th St in Midtown Coeur d' Alene. Angler's Auto Repair is now open in Spokane Valley. The business is located at 15220 E. Sprague Ave. The former Hotteez Bar at 20 N Raymond Rd off of Sprague in Spokane Valley will soon be home to a new country themed night club to be called The Roadhouse . The Roadhouse is planning on being open around Halloween. Apple Valley Dental has opened a new office in Spokane. The dental and orthodontics office is located at 2929 N Market St.
Northeast Washington Home Health at 521 S. Bernard Ave in Spokane has become Assured Home Health. Piccadilly's Home Decor and Countertop Restoration is opening soon in Otis Orchards at the corner of Wellesley and Kinney. An Asian grocery store called The Oriential Store is moving to a new location at 1402 N Division in Spokane. American Family Insurance agent Denise Bennett opened a new insurance office recently at 2416 First Ave in Cheney. Downtown Spokane's Moxie restaurant closed earlier this summer. Moxie had been located at 816 W. Sprague Ave.
Mortimore Productions , a Spokane based video production company moved recently. Mortimore can now be found at the corner of Nevada Ave. and Holland Rd on the second floor of the Service Station Coffee Shop's building. Lembeck Appraisal and Consulting moved it's Spokane office recently , The commercial appraisal firm is now located in the Rock Pointe Corporate Center at 316 W. Boone Ave.
A brand new Papa Murphy's Pizza location is under construction now on N. Ruby just a couple of blocks south of Foothills Rd. north of Downtown Spokane. The seasonal Halloween City store is now open in the old Mattress Land store on N Division about 2 blocks north of the Ruby split. Villaggio Pizza , Wine and Martini's has moved and will join forces with another South Hill restaurant called Vintages @ 611 which is located at 611 E. 30th Ave. The creatively named Zombie Juice E-cigs is now open in Spokane Valley . They can be found at 2128 N Pines Rd Suite 8N. Inspired Creations is a new business in Spokane Valley that sells handmade jewelry,art , crafts and more from a store at 523 S. Pines Rd. The seasonal Halloween costume and decoration Display House store is now open at 106 E. Francis in North Spokane. Chain liquor store, Good Spirits will open a new store soon in Spokane Valley . The store will be at 1001 E. Sprague Ave.
Two Women Vintage Market is opening in Downtown Spokane's SoDo District. The new store will be 100 Block of S. Cedar Ave.
Aramark Uniform Services will move their Spokane office to a new location in Spokane Valley. The new location will be at 11511 E. Indiana Ave.
A new hair salon called the Pincurl Palace is open in Spokane Valley at 2406 S. Dishman-Mica Rd. McClain's Pizzeria will open soon in North Spokane at 10208 N Division St Suite 104. The former Luxury Box resturant is now back open as Darcy's . Darcy's is in Spokane Valley at the U-City Mall ( 10502 E. Sprague Ave. ). 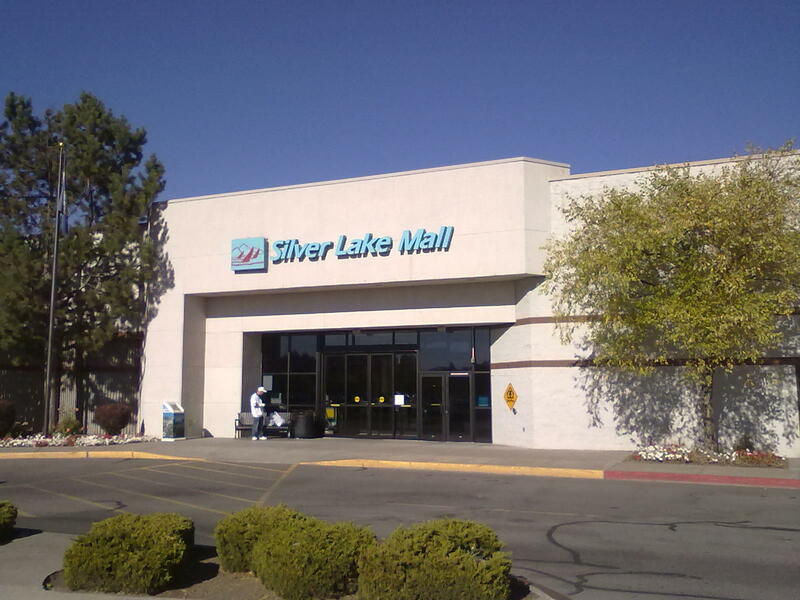 Lot's of businesses moving around and opening at Silver Lake Mall in Coeur d' Alene. I'm working on gathering all the info and will create a post of all of them as soon as I can. Aces Community Health Service appears to be moving to a new office location in Post Falls. The new office is just down from the old one still in the Shopping Center at the corner of Seltice Way and Bay St. near the Trading Co. grocery store. The Coeur d' Alene Salsa Co. store that had been on Northwest Blvd by Hubbard Ave. has closed. Jump Start Java which is a coffee drive thru located at the corner of Seltice Way and Cedar St in Post Falls is now called Grounded . Site work and construction are beginning on a new medical office building at Riverstone in Coeur d' Alene. The new office will be ran by Dr. Scott Magnuson and will be off of Riverstone Ave. just south of the Bardenay Distillery and Restaurant. The Dodge Peak Lodge in Bonners Ferry is opening a new restaurant. The new steak and sushi resturant will be called 505 Steak & Sushi and will be located at the lodge which is at 5952 Main St in Bonners Ferry. The gift shop Crafty Cravings which had been in the River City Center near the intersection of Seltice Way and Greensferry Rd. is closing their storefront. However Crafty Cravings is not closing completely as they will become a vendor at the Treasure Towne Vendor Mall off of 5th Ave on the west end of Post Falls. The Spokane County Commissioners have brought back up the discussion on where to build a new jail for Spokane County to help with age and overcrowding at the current jail off of Monroe St. just a few blocks north of Downtown Spokane. As you may recall the commissioners had picked a location back in 2010 on land nearby the I-90 exit for Medical Lake,the reason for bringing the issue back up is because Spokane International Airport has come to County offering up a site on land they own off of Geiger Blvd. closer in to Spokane. The board would like to consider taking the land for a jail but must first ,under state law, follow thru with a full site selection process. The Board of Commissioners have identified the land near the Airport has the number 1 option but will explore all possiblites. - A site in Spokane Valley on Tschirley Rd near Euclid Ave.
-A site at McFalane and Craig Rd. - A site at Lawson and 21st Ave. The Medical Lake site also remains in the running for the new jail site but was explored fully in 2010 and will most likely not be studied in this round. The county hopes to have a new site selected by early December. No word on when a new Spokane County Jail might be built on one of these sites. For the last few years Kootenai County's Board of Commissioners have been exploring options to expand the Kootenai County Jail or come up with a similar alternative to help with the overcrowding in the counties current 325 bed jail which is located off of Government Way just south of Dalton Ave in Coeur d' Alene. The issue has even appeared on the ballot a couple of times to gather up enough tax dollars to add on to the existing jail, however voters have rejected that plan both times it has been on the ballot. But now a private jail operator has stepped into focus after giving a presentation to the board recently that proposes building a new jail on behalf of the county. That company is Rocky Mountain Corrections and they propose building a new jail and then leasing the jail back to Kootenai County ,during the lease term the county would be allowed to staff and operate the new jail. -A new 625 bed correctional facility that would cost a bit more at 4.6 million dollars a year to lease and bring in about 8.5 million dollars in revenue. Football season has been in full swing now for the Washington State University Cougars for the last few weeks. But this season for the Cougs is a little different as the team's home, Martin Stadium at Washington State's campus in Pullman has undergone many major renovations all of which began last fall and we're completed before this year's first kickoff. The remodeling of Martin Stadium began in November of last year and was actually only 1 phase of a 4 phase project that may even be completed by next year's football season,if funding and approval from the WSU Board of Regents comes thru. Phase 3,the most recent construction work included a new much larger structure on the south side of the stadium. The new area feature a new press box and 21 new luxury suites overlooking the field. New "club seats" which are located below the suites and a new club room which in itself takes up roughly 10,000 square feet and includes a bar area. The project in all includes almost 90,000 square feet of space that was designed by architectural firm, ALSC Architects . When it is built the next phase ,Phase 4 , will extend the new structure into the west end zone area and have a similar look , cost and build out time. Keep watching for more on this closer to when it gets built. -Specialty foods retailer Gourmandie will be remodeled and will be approx. 2x it's current size. The renovations and upgrades are expected to cost around 1 million dollars and will be in place for the Skiing season. A Trader Joe's for Coeur d' Alene? A big part of the work I do to get this page together every week is investigating rumors of new businesses that may or may not be opening in the area. But there is one rumor that I cannot disprove and it has heated up quite a bit lately. That rumor is of a Trader Joe's grocery store opening in Coeur d' Alene, more specifically in the space that was to be a Barnes & Noble on Riverstone's Main St. .
All I know right now is that I don't know one way or the other because Trader Joe's is one of the harder companies to figure out future plans for. However one thing Trader Joe's does respond too is social media, hence the reasoning behind a local Facebook group called Bring Trader Joe's to Coeur d' Alene ( http://www.facebook.com/groups/41753073217/ ) . Some on the group do mention having been told Coeur d' Alene may get a store soon but there has been nothing official as of yet. Trader Joe's is a privately held grocery store chain based in Monrovia, California with a little over 360 stores. The stores specialize in discounted and healthy groceries including a selection of wine and beer. Trader Joe's has operated a store in the Lincoln Heights Shopping Center in Spokane since last year.